The 18th Journées de la culture is proud to introduce you to the Saint-Laurent Boulevard once again. 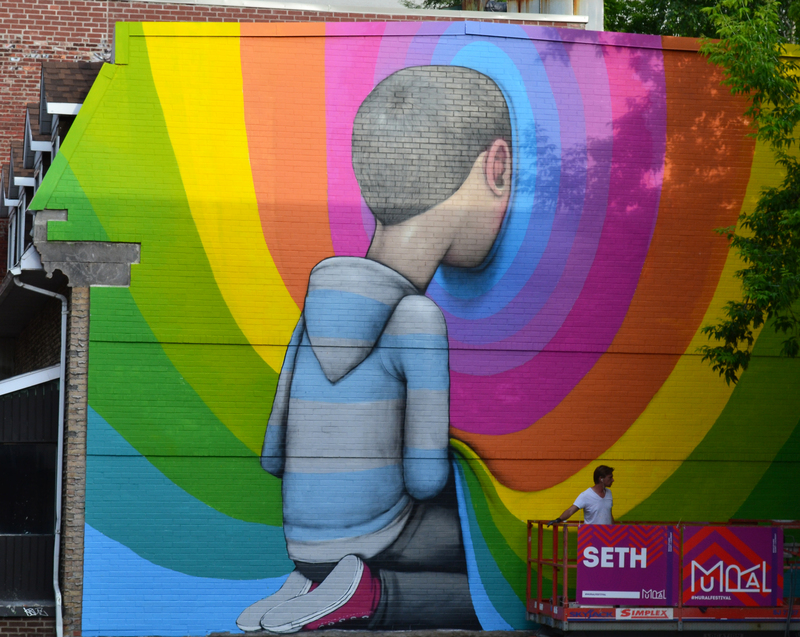 Particularly thanks to the murals painted during the 2nd edition of the Mural Festival, the Main continues to change, beautify and modernize – all while keeping an iconic and historical past that is not found anywhere else in Montreal. It will therefore be the Amis du Boulevard and LNDMRK who will take care of making you discover historical sites and murals on the Saint-Laurent Boulevard and its surroundings. The tour will be led by Miguel Simão Andrade (Saturday) or Justin Bur (Sunday) for the historical part, and by Sarah Girard for the murals. The Journées de la culture on the Saint-Laurent Boulevard will take place on Saturday and Sunday, September 27th and 28th, from 11am to 1pm. We’ll be walking for the activity and the meeting point will be at Parc du Portugal. In case of rain, the event will unfortunately be cancelled. But it never rains two days in a row in Montreal… everyone knows that! So it’ll all work itself out! For more information, contact us at 514-286-0334 or at info@sdbsl.ca. This entry was posted on 23/09/2014 (Tuesday) at 20:01 and is filed under Walking tours. You can follow any responses to this entry through the RSS 2.0 feed. Both comments and pings are currently closed. Edit this entry. R755 theme designed by varometro. 97 queries in 0.046 seconds.